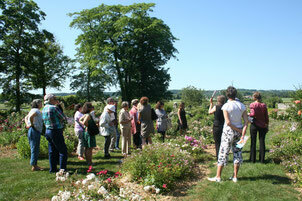 Association Pierre de Ronsard - Site des Rendez-vous de La Possonnière. Association Pierre de Ronsard is the name of the society in charge of organizing cultural events called Les Rendez-vous de la Possonnière in Le manoir de la Possonnière, the birthplace of the famous Renaissance French poet, Pierre de Ronsard (1524-1585). Every year a topic theme connected with the poet is selected : 2018 topic is RONSARD and GREAT BRITAIN. Le Manoir de la Possonnière is located in Couture-sur-Loir, a village located 15 km West of Montoire-sur-le Loir, 5 km East of La Chartre sur Loir. The manor has been owned by a council of “communes” since the year 2000. 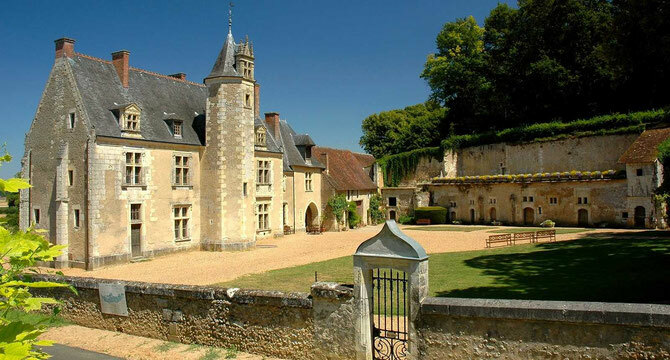 The site is composed of a manor house, early Renaissance style, troglodytic dwellings where Ronsard’s family lived before he was born and a charming rose-garden. March 29th to June 14th + September 17th to November 4th from 2pm to 6pm : Thursdays to Sundays only. Students, inemployed or disabled people : 4.50 €. Children and youth under 15 : free. The admission includes a brochure in English for an independent visit or an English recorded visit for 1 extra €. Possibility of a guided visit in French 75 mins. Call 02 54 72 40 05 for booking.